Tate Britain presents it’s extensive retrospective exhibition of David Hockney’s work this week. Ruskin was one of Hockney’s tutors during his time at the Royal College of Art. 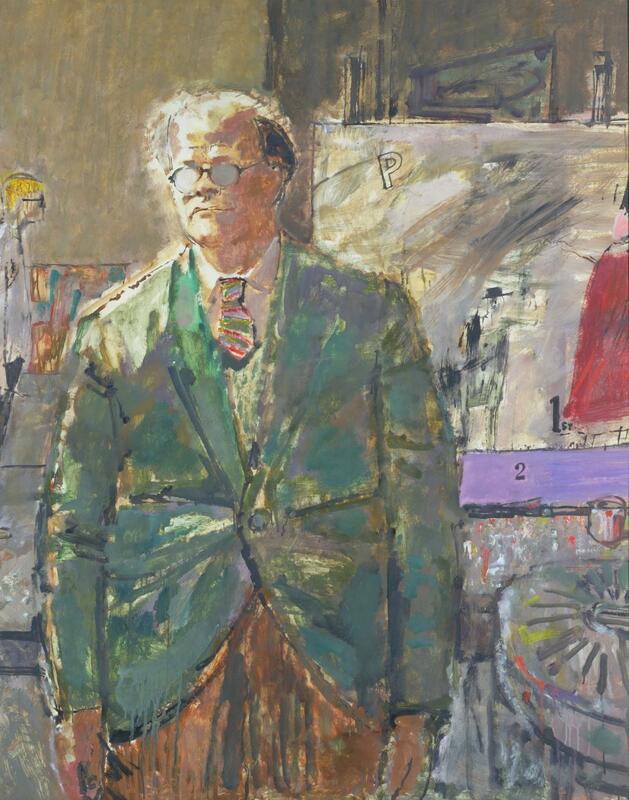 This 1961 portrait of Carel Weight cheekily includes a copy of one of Hockney’s early works in the background.